For business success, you must safeguard your Internet reputation. Tell that to America’s biggest casualty-insurance company, State Farm Insurance, after getting hammered in news reports and social media. The quality of your 21st-century digital footprint is important for long-term business sustainability. That means maintaining a positive online reputation. It requires an understanding of the Internet eco-system and the use of best-management practices. But that’s not the appearance from a mega insurance-company’s performance. In terms of online reputation management (ORM), State Farm is under fire in the wake of several Web news articles and numerous sharing on Twitter. In April, a jury found State Farm defrauded a federal entity – the National Flood Insurance Program – and made a false report in the claim of policyholders in the aftermath of Hurricane Katrina (e.g. State Farm Appeals Katrina Fraud Ruling in Mississippi). State Farm received more bad publicity after it lost another case for refusing to renew hundreds of property policies (State Farm fined $150,000 in Delaware, suspends coastal non-renewals). 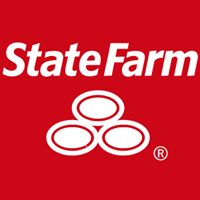 Another news report indicates State Farm was sued in U.S. District Court for alleged age discrimination by a 23-year claims representative who “…was promoted numerous times, received positive evaluations and awards for exemplary customer service (Braxton County man sues State Farm for wrongful termination). The problem with the Internet is that such negatives seemingly last forever because they’re difficult to erase. Without getting into the question of State Farm’s ethics and performance, it is surprising that the company doesn’t seem to know how to eliminate the bad references on Google. Fortunately for State Farm, 90 percent or so of surfers don’t look past the first 10 listings. There hasn’t been any noticeable evidence of State Farm using best practices to optimize its brand and manage its Web reputation. How to do it? Here’s one clue: Bombard the net with positive, authoritative information in a variety of ways to suppress the bad. You see, the key to Internet dominance is to think integration. All such tools either will or should have authoritative page ranks to supplant the negative references. Unless it’s a highly unusual situation, you’d be better off ignoring the bad stuff. It doesn’t make sense trying to rebut it because you’ll risk giving it more online prominence with a higher search rank. In many cases, let it go, unless you have a rash of bad reviews. In which case, you also better conduct an operations audit to correct all the problems.